The D700 is Nikon’s second full-frame DSLR. Announced on July 1st 2008, the D700 essentially takes the D3’s large ‘FX’ format sensor and squeezes it into a D300-sized body. Along with being smaller and lighter than the flagship D3, it’s also comfortably cheaper, making the D700 Nikon’s first ‘affordable’ full-frame DSLR. Like Canon’s EOS 5D, this puts it within reach of well-heeled enthusiasts who demand excellent performance at high sensitivities, along with pros looking for a backup body. The headline feature of the D700 is of course its full-frame sensor. 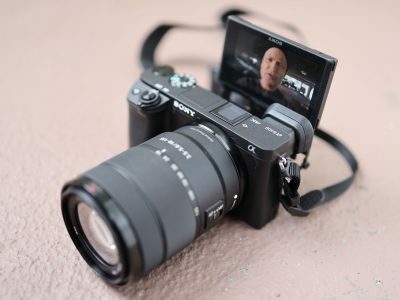 It employs the exact same 12.1 Megapixel full-frame CMOS sensor as the D3, which conforms to Nikon’s FX format and delivers images with 4256×2832 pixels when coupled with an FX-compatible lens. The D700 also shares the D3’s broad sensitivity range running between 200 and 6400 ISO, with low and high modes extending it to between 100 and 25600 ISO. Unlike Canon’s full-frame models you can still use lenses designed for cropped bodies on the D700. 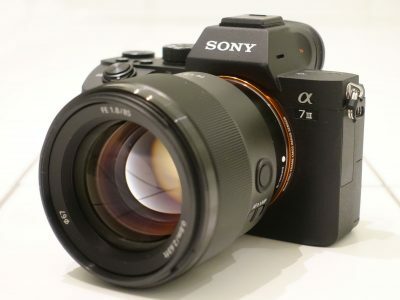 Fit a DX lens and you can either shoot in a cropped 5.1 Megapixel mode, or with the full sensor area and resolution – albeit with a reduction in quality beyond the DX frame. The D700 additionally shares a number of features with both the D3 and D300. All three sport a powerful 51-point AF system, a high resolution 3in VGA monitor with Live View, the same 1005-pixel metering system, along with an HDMI port for connection to HDTVs – albeit using a mini-jack on the D700. All three are also very tough, offering resistance to dust and moisture. Continuous shooting is rated at 5fps, which may be slightly slower than the 6fps of the D300, but unlike that model the D700 doesn’t slow down when shooting in 14-bit RAW mode, nor reduce its buffer until much higher sensitivities. The D700 can also share the same MB-D10 battery grip as the D300, which boosts both model’s continuous shooting rate to 8fps (with the right battery). A new user interface makes it easy to change key settings, and the D700 also inherits the D3’s Virtual Horizon feature which helps you level the camera using a heads-up display. The D700 makes this even more useful by additionally now offering the Virtual Horizon in Live View – although a firmware update now equips the D3 with the same facility. Overall the D700 boasts one of the most powerful and complete feature sets of any DSLR to date. 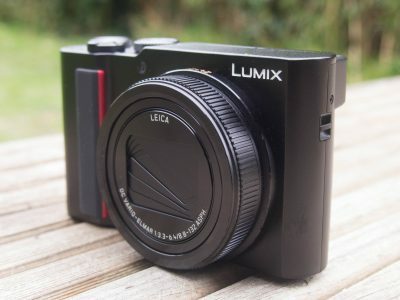 It greatly appeals whether you’re looking for a step-up from the D300 or a more portable and affordable version of the D3. But while the D700 may at first glance simply appear to be a D300 with the D3’s full-frame sensor, there’s a number of variations between all three models between the obvious specifications. In our Nikon D700 review we’ll detail these differences, examine the new features and report on how the camera works as a whole. We’ve also directly compared the D700’s image quality against the D300 to see what benefits you can expect from a full-frame sensor, along with seeing how it measures-up against Canon’s EOS 5D. So has Nikon delivered a perfect balance of size and pro performance, or is the considerable premium of full-frame really worth paying in the current market? Read on to find out, and as always you can see a demonstration of its key features in our Nikon D700 video tour. We tested a final production Nikon D700 running Firmware versions A 1.00 and B 1.00. Following our convention of using default factory and best quality JPEG settings to test cameras unless otherwise stated, the D700 was set to its best quality Large Fine JPEG mode with Auto White Balance and the default Standard Picture Control, Normal High ISO NR and Active D-Lighting switched off. We have examples showing the other High ISO NR and Active D-Lighting settings in the review.